Can a connection to nature restore your soul? In 2013, I reached the pit of despair. For the first time in my life, I got let go from a job. Falling into a deep depression, I felt completely unsure of who I was. I became afraid to even apply for other jobs, scared that the whole thing could happen again. My husband tried to say the right words. Friends sought to console me. “It’s not your fault. You’ll find something even better. It will be ok.” And yet I didn’t feel ok. I didn’t even want to leave the house. It felt awkward trying to explain why I wasn’t working. Feeling defective and broken, I isolated myself, taking refuge in our mountain home. But one thing rescued me. Earlier that year, I had bought a ski pass. During previous winters, I would buy a four-pack, and go a few times. 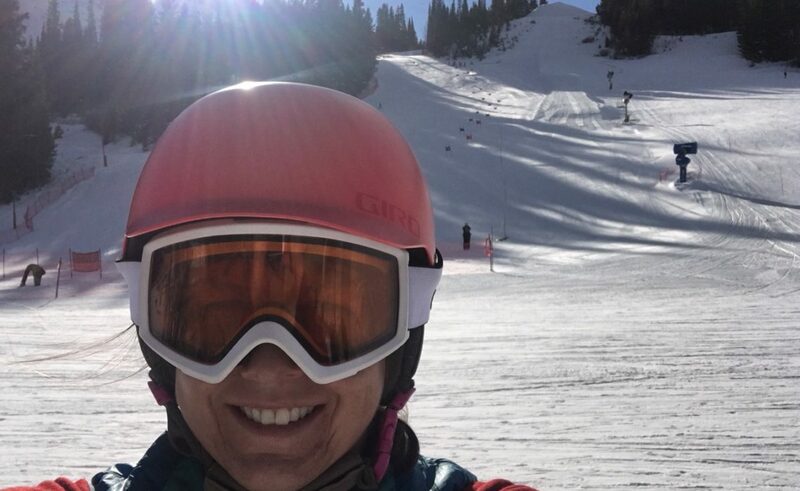 Knowing how much joy skiing brought to me, my husband encouraged me to buy a season pass to Winter Park, my favorite resort. When I lost my job, I felt guilty having spent the money. Having bought pass insurance, I suggested to Bryon we get our money back. What a gift that would be during a time of darkness in my life. As it turned out, the snow fell in copious amounts that winter from Thanksgiving on. All those powder days gave me a reason to get out of bed, and get moving. Skiing was the one thing that made me feel normal that winter. As I would meet various people on the lifts, we would make conversation. Nobody asked why I wasn’t working a real job. Nobody looked at me with pity. During my ski days, I felt like I was part of the human race and part of a skiing community of other mountain lovers and ski enthusiasts. It got me out the house, got me out of my isolation, got me outside in nature, and made me feel part of something. I belonged to a group of people enjoying a day out on the snow. And as I skied, I got better at skiing. I learned how to navigate the moguls, making turn after turn. Trees no longer confounded me — I embraced making turns in and out of the gladed forest. Powder days helped me find my inner child, as I let out whoops of joy, snow spraying up into my face. Skiing rejuvenated my spirit and made me feel alive again. And I found hope and courage. Courage to put myself out there, to apply for jobs, to believe I could be a worthwhile employee. Ironically, it was that winter that led me to my second career of becoming a ski instructor. Each day I teach skiing, I pass along that passion and joy I found that winter for myself. Has an experience in nature restored your spirit and helped change you life for the good?